With pristine golf course conditions once again, Richmond Country Club shined its true colors for the 30th straight year in this, the longest standing Pro-am in BC. 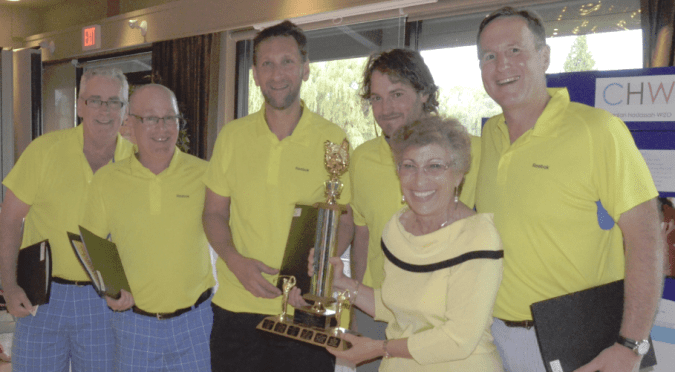 The Hadassah Wizo Charity Pro-am proved once again to be a collaboration of BC’s top Professional golfers paired with the amateur golfing world, enjoying an amazing experience on one of Canada’s Premier Private Country Club’s. The Richmond Country Club’s course conditions proved to be a genuine test for all 22 Professionals and 88 Amateurs in the event. Firm and fast greens along with some tour-caliber pins made positioning in the fairway and on the greens a premium. At the end of 18 holes, Professionals Corey Steger (Seymour G & CC), Jeremy Paradis (Kings Links GC) and Doug Morgan (The Redwoods) managed their games better than field, shooting rounds of 69 and cashing cheques of $1,500 each. Clark MacPherson took home 4th place on his own, good for a $1,000 payday. The top 11 Pros in the field were paid out in the individual Professional competition, and the pros leading their teams to the top 4 spots in the Pro-am competition also collected a bonus cheque on the day. A total of $10,000 was offered for the Professionals to play for thanks to the hard work of the Hadassah Wizo Committee and a list of dedicated sponsors (see here), some who have supported the Pro-am event for 20 years. The Hadassah Wizo Committee should be extremely proud of themselves, as they have been dedicated to the charity component of this golf event for 30 straight years. Proceeds from this year’s tournament are going to support CHW projects in Israel, benefiting Children, Healthcare and Women; and the Prostate Centre at VGH, right here in Vancouver. VGT is proud to have been a part of the Pro-am through its Live Scoring services and helping bring some of BC’s Premier Golf Professionals into the field of this historic event. 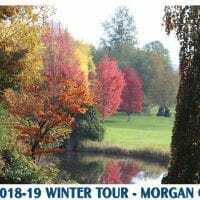 The event has hosted Professionals such as Bryn Parry, Phil Jonas and Adam Hadwin – all who have played multiple events on the Canadian Tour, Nationwide and PGA Tour, with Adam recently placing T4th in the 2011 RBC Canadian Open. “The event serves as a huge fundraising opportunity for two great charities as well as helping promote the development of BC’s local Professional golfers who are aspiring to reach greater heights with their games, many who’s quest is ultimately to hit the PGA Tour” states VGT Commissioner Fraser Mulholland. “We are extremely grateful of the partnership we have formed with the Hadassah Wizo Pro-am over the past 5 years. The event is one of the most organized Pro-ams in the province and one we are excited to continue partnering with for many years to come! Dave Wood – Richmond Country Club GM (Thanks for yours and the members’ support of this great event. Fantastic execution from all areas of your staff). For full field results of Professional scores in the Hadassah Wizo Pro-am, please CLICK HERE.